just 10, 14, or 18kt. We are the most accurate. analyze elements and metals, pulverized ores, rocks, powders, liquids. etc. want to know what you have we can tell you in minutes while you wait! 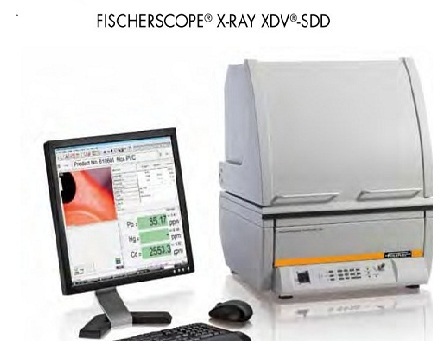 we are the absolute professional analyzers of dental gold. we will break out your teeth and filings cleaning your old teeth and bridges, which can run from 12% gold 88% palladium to 90% gold and silver palladium mixes. Only we can truly accurately analye your dental gold in Idaho no one else. Ignorant dealers tell you your white dental products are silver or not real losing you many dollars. do not trust peoples word demand proof . we can give proof! We can assess your bars of gold silver and coins and let you know if it is real, fake, or substandard at a very resonable cost. Miners why would you settle for a fraction of what your gold is worth. other dealers offer you 55-65% when you can get up to 94% with us. Why get screwed and let the dealers make all the money for your hard work. less than the normal rates due to extreme chance of losses. coins or items in bar or melted form. We now have the only 3 advanced x-ray fluorescent spectrometers in this part of the country. No one else can perform such a complete accurate analysis of your metals in Idaho. Miners and scrap or jewelery sellers, can get a printed report that gives the exact content of your jewelery or placer gold so you can demand top dollar without guessing or reliance on the primitive, subjective acid test. No one else can perform such complete accurate analysis of your metals in Idaho. Miners and sellers, can get a printed report that gives the exact content of your jewelry or placer gold so you can demand top dollar without guessing or reliance on the primitive, subjective acid test. Idahoans now have a place to sell your gold locally and get payment immediately. Save on melting, assay, refining, shipping, insurance, check charges, etc. we process your gold here in Boise so we are not reliant on anyone else to melt, refine and or assay your gold. Don’t mail your items away, the general public can also eliminate the middle man by dealing with us. Come by in person for details or to open an account with us. We test, weigh, and do our calculations right in front of you in simple English so you will know you are not getting taken. We use several test methods to narrow down your gold content, nothing is just 10, 14, or 18kt. We are more accurate. We are completely honest and transparent. I have seven years of college and am a trained scientist. I have 23 years of actual experience as a gold and silver refiner, having owned my own precious metals and jewelry business for 40+ years. I have detected substandard American eagles, Krugerrands, and silver rounds and fake pandas. Are yours real? if they were purchased in the last five years they may not be.